The? ?global positioning system, or GPS, that people use every day for navigation, may actually provide an easy avenue for a terrorist attack. GPS jamming is becoming an increasing problem; GPS expert and assistant professor at the University of Texas recently exposed how location technology creates a gaping hole in national security.In a recent demonstration, a GPS expert showed how a hacker can easily exploit a weakness to hijack a luxury yacht. With nothing more than a small antenna, a laptop, $3,000 device known as a GPS ???spoofer??? and some basic hacking knowledge, Todd Humphreys commandeered a 210-foot luxury yacht in the Mediterranean Sea, showing how any hacker could exploit a GPS system to take control of a vehicle. Humphreys??? team built the world?? ?s most powerful GPS spoofer, which dupes GPS antennas with fake signals. In a demonstration with Fox News, Humphreys showed how his device injected spoofing signals into the ship?? 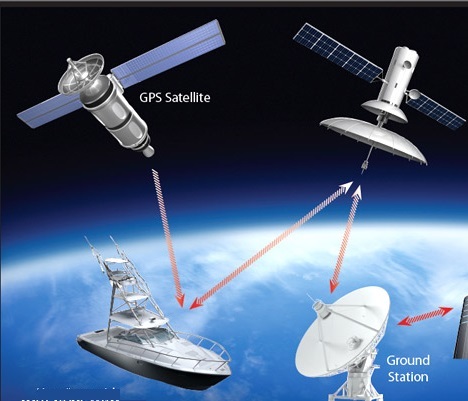 ?s GPS antennas, providing inaccurate information.?? A hacker could use this to hijack the ship and disorient it without alerting the crew. ?? ?Imagine shutting down a port,??? Humphrey?? ?s said. ?? ?Imagine running a ship aground. These are the kinds of implications we?? ?re worried about.??? The attacks aren?? ?t limited to ships. Spoofing attacks can be used to attack any system using GPS technology, including commercial airlines and drones. Congress has had Humphrey?? ?s speak with the FAA, CIA and Pentagon on GPS security, but little has been done to address the threat.